The Open is over - proud doesn't quite say enough..
Not only did we manage to qualify a Team for the new format of the Super Regional (only African team that has qualified for a Regional for 5 consecutive years!) - but we also had one of the biggest team groups on our continent with 70 athletes taking part in the Open from CCF Gardens and +10 athletes from both our younger boxes CCF Newlands & CCF Foreshore as well! Post 15.3! Out of these athletes I can honestly say that I am probably the most proud of all the guys that took on the Open for the first time. To come in week after week and challenge yourself with loads that you didn't know if you could do, attempt movements you have never mastered before and regardless of whether it was scaled or rx'd, give it your absolute best every time, is nothing but inspirational to everyone around you - thank you! We had loads of athletes hitting Clean & Jerk PB's in 15.1a, many getting their first Rx'd Hand Stand Push Ups and/or lift their max Clean repeatedly in 15.4. In 15.3 I think we actually had one of the biggest groups of female athletes in Africa actually doing the WOD as prescribed, 5 of our girls managed to get past that first round that started with 7 Muscle Ups (more about how amazing our female athletes really were further down! ), and on 15.5 there was not a single CCF athlete that didn't do everything they could to really enter the pain cave. Team CCF Wolfpack - carried forward by our girls. The team that is going to Copenhagen at the end of May will need all support it can get and we are already in hard training to represent as well as we can - look out for more info on our journey! PS. These scores are all unofficial and BEFORE the Video Submissions have been approved - changes may occur in any direction. Congrats to an amazing representation from the rest of South Africa! I'm personally stoked to see that the South African community represented so well in general, The Smith Brothers (Jason and Richard) from CrossFit Kyalami showed that they are among the top Individual athletes out there and it will be very interesting to see how much they and Mona Pretorius and Celeste "Beastess" Engelbrecht can challenge the European athletes on the individual side. The PBM team who is the reigning African champions is looking very impressive and will definitely make the European competition fight hard for the spots to the Games! Along with USN CrossFit Eikestad, ourself, CrossFit Tijger Valley, and CrossFit Kyalami these 5 teams took half of the qualifying spots for the Super Region which is an amazing feat considering the tough competition from the Middle East teams! 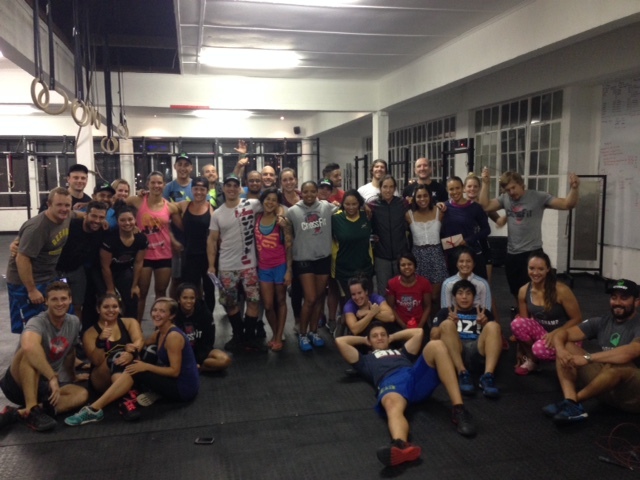 We are here to stay, Team Cape CrossFit IS the future!